Composer and sound artist from Colombia, sound engineer and documentary maker. Professor of sound art and sound for interactive systems in various institutions in Barcelona. He is currently a professor in the master of sound art at the University of Barcelona. Between 1998 and 2014 he was director of the Orchestra of Chaos and his research platform Sonoscop, as well as the Zeppelin Sound Art Festival; projects associated with the Center for Contemporary Culture of Barcelona. Professor and founding member of IDATbcn, Institute of art and technology design of Barcelona. Between 2013 and 2016 he was director of the line of research in advanced interaction at the Institute of Advanced Architecture of Catalonia, IAAC. 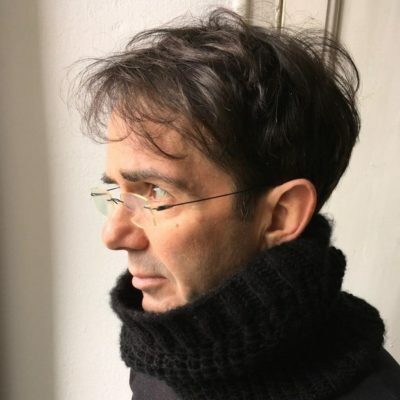 His work as a creator is focused on the sound installation, the electro-acoustic composition, on the research around the soundscape and on the development of platforms for sound diffusion in space, recurrent themes in his work, as a teacher and as director of research projects in art, science and technology postgraduate courses. In the field of sound design he has made several collaborations with creators from different contexts, including the collaboration with Toni Serra in the exhibition “Fes Ciudad Interior”, Ciutat de Barcelona 2002 prize. Currently, his work is focused on acoustic ecology, a context in which he is developing research, training and dissemination projects in Catalonia and Colombia, his native country.